John L. Grattan was born on June 1, 1830 in Corinth, Vermont. Grattan's mother Sarah died when he was five years old. 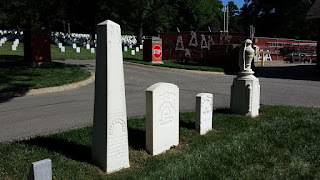 Following his mother's death, his father Peter relocated the family to New Hampshire where he worked as a wheelwright. Grattan attended West Point from 1849-1853, and was held back one year due to poor performance in academic courses. 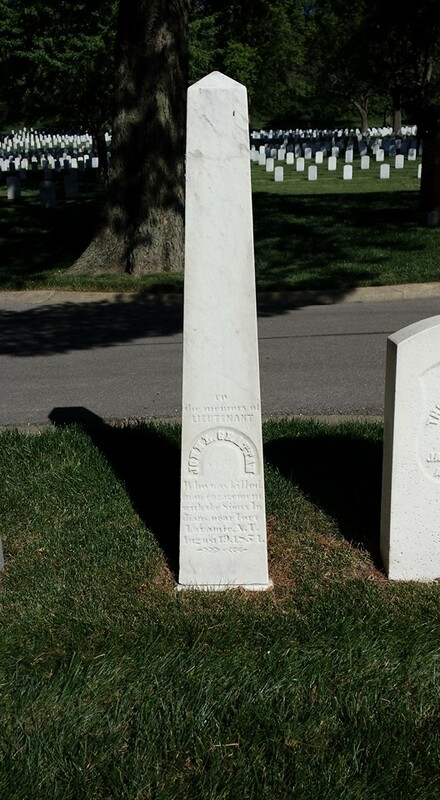 Second Lieutenant Grattan's first assignment out of West Point was with the 6th Infantry Regiment at Fort Laramie in Wyoming. Soon after reporting to Fort Laramie, Grattan earned a reputation for being brash and boastful. He was also known for his dislike for Native Americans, despite having little interaction with them. When tensions grew between local Native Americans and pioneers, the Army decided to intervene. A Mormon wagon train passing through the post reported that one of their cows had been stolen and butchered by starving Lakota Sioux. Grattan and other inexperienced officers decided to confront the local Lakota Sioux band under Conquering Bear, and demand that the man responsible for stealing the cow, High Forehead, be turned over to the Army. In August 1854, Grattan led a detachment of 30 soldiers and one civilian translator towards the Lakota Sioux encampment east of Fort Laramie. The encampment was estimated to have 4,800 residents, including 1,200 warriors. A combination of his inexperience and a breakdown between the Grattan's translator and the Lakota Sioux resulted in the Grattan Massacre. Grattan's translator Luciene Auguste spoke the language poorly, was intoxicated, and had a bad reputation among the Sioux people. When the detachment arrived at the village Auguste began taunting and threatening the Lakota Sioux. Grattan demanded that Conquering Bear turn over the alleged thief, but Conquering Bear refused the demand, instead seeking to negotiate with the young officer. A local trading post owner James Bordeau was called by Conquering Bear to act as a negotiator. Bordeau later recalled that by the time he arrived at the scene the situation was already out of control. Conquering Bear offered Grattan a horse as compensation for the cow, but Grattan continued to insist that High Forehead be turned over. As tensions escalated, warriors began to flank the soldiers. 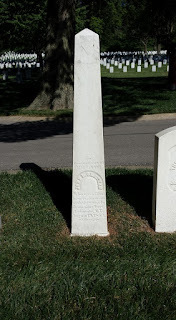 When Grattan turned to return to his detachment, a nervous soldier shot and killed a warrior. Grattan's surrounded command was then decimated. A young Red Cloud participated in the massacre. The Lakota Sioux suffered two casualties including Conquering Bear. Bordeau was spared because he was married to a Lakota Sioux woman and had a friendly relationship with the local Native Americans. The Grattan Massacre is considered to be the opening shots of the First Sioux War that lasted from 1854-1856. 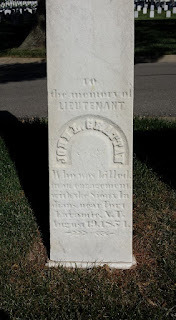 Grattan's remains were initially interred at Fort Laramie, while his soldiers were buried in a shallow grave at the site of the massacre. 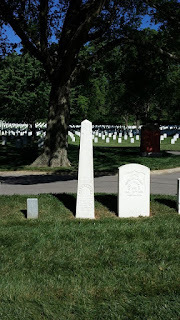 Grattan's remains were later exhumed and re-interred at Fort Leavenworth National Cemetery in Kansas where he rests to this day. His soldiers were also exhumed, and re-interred at Fort McPherson National Cemetery in Nebraska. 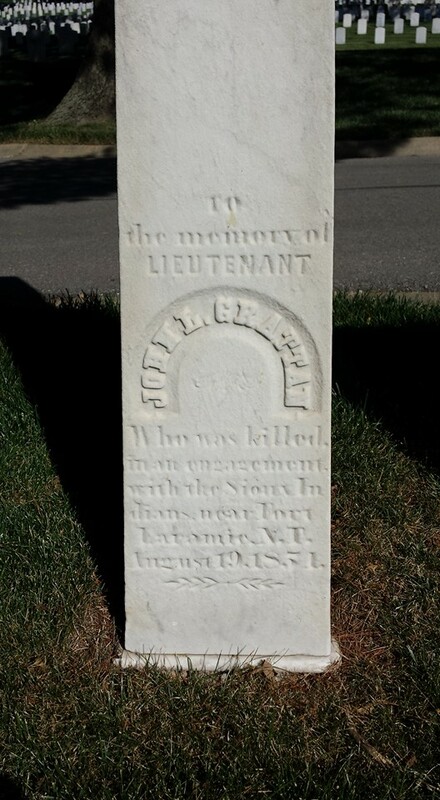 The inscription on Grattan's grave marker reads: "To the memory of LIEUTENANT JOHN L. GRATTAN Who was killed in an engagement with the Sioux Indians near Fort Laramie, N.T. August 19, 1854."